This Sterling Silver and Enameled Copper Pendant depicts a dragon guarding his treasure. 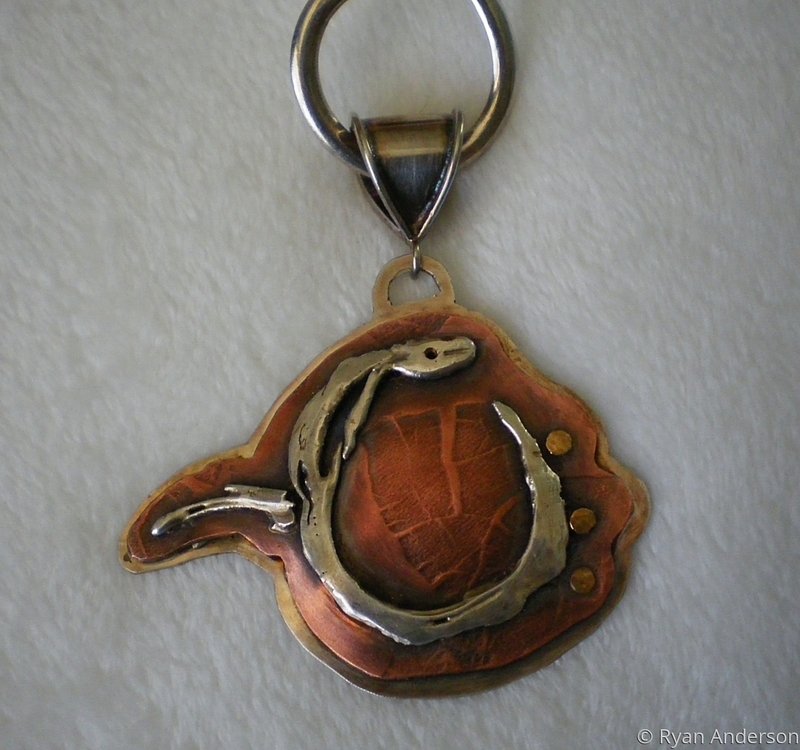 The sterling silver dragon is soldered to textured copper, with a sterling silver backing which is cut-out in the shape of dragon on the back. The pendant is shown hanging on a sterling silver wire, which is available for purchase separately. Quoted price is for pendant only.